What Is Anemia & Why Is It So Common Among People with Autoimmune Disease? The simple definition of anemia is a lowered oxygen carrying capacity of the blood, but its impact is wide-ranging, with many different root causes. Affecting 7% of people in the United States, and 25% of people worldwide, people with autoimmune disease are especially vulnerable. In today's podcast, we'll discuss why that's true. We'll also talk about testing for anemia, the different types, common symptoms, and how to treat. My guest is Dr. Amy Nett, a medical doctor who works with Chris Kresser at the California Center for Functional Medicine. 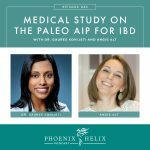 AIP Thanksgiving Simplified includes everything but the bird, to make your holiday easier: Sweet and Savory Pork Stuffing, Creamy Cauliflower Broccoli Bake, Sweet Potato Crumb Casserole, and Apple Cranberry Crumble. Each dish serves 4 people, and if you order by 10/21, you'll receive 1000 reward points which you can apply toward future orders. Use the code TGREWARDS. On the weeks between podcasts, I write articles on my blog. 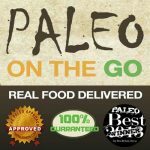 There is always a new Paleo AIP Recipe Roundtable. This past week, I also wrote an article called What Is Paleo Skincare? If you don't want to miss out, subscribe to my weekly newsletter. Dr. Amy Nett is a medical doctor who works with Chris Kresser, at the California Center for Functional Medicine. She graduated from the prestigious Georgetown University School of Medicine, and her early career included specialties in radiology, pharmacology and internal medicine. After becoming disenchanted with conventional medicine’s inability to treat her own health issues, she shifted to a functional medicine approach. When her health was at its worst, she was working 60-80 hours a week and wasn't prioritizing a healthy lifestyle. She developed hypothyroidism which made her feel like she was moving in slow-motion; everything was harder. 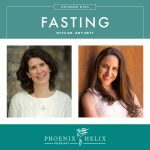 Her health turned around when she started prioritizing lifestyle interventions like meditation, exercise, social connection, working fewer hours, and addressing functional medicine issues like thyroid health and heavy metal toxicity. Now, her health has dramatically improved; she has no health complaints today. A lowered oxygen carrying capacity of the blood. The role of our red blood cells is to deliver oxygen from our lungs, to all of our tissues and organs bodywide. Hemoglobin is the iron-rich protein within the red blood cells, which transport the oxygen molecules. Anemia is either a lowered red blood cell count or lowered hemoglobin, either of which can decrease this oxygen carrying capacity. Mild anemia may be asymptomatic, but still impacting the body at a level you can't yet feel. Severe anemia can lead to organ damage. Iron Deficiency Anemia: This is the most common type. However, it's possible to have mild iron deficiency without reaching the level of anemia, and treating this deficiency can prevent anemia from developing. Causes include not eating enough iron-rich foods, nutrient malabsorption, gut infections, or blood loss (which is why anemia is more common among reproductive-age women). B12 or Folate Deficiency Anemia: Both of these nutrients are vital to red blood cell production. One type of anemia in this category is Pernicious Anemia, which if often autoimmune. Anemia of Chronic Disease/Anemia of Chronic Inflammation: An increase in pro-inflammatory cytokines can cause a decrease in red blood cell production and also interfere with iron being allowed into the circulation. Haemolytic Anemia: This is more rare, but one type is autoimmune in nature. Drug-Induced Anemia: A potential side effect of some drugs, including proton pump inhibitors, antibiotics, biologics, and chemotherapy. Anemia During Pregnancy: The blood supply natural increases to support the developing fetus, and this dilutes the red blood cell supply. Mild anemia during pregnancy is normal. Rare anemias: inherited conditions, bone marrow disorders, and anemia caused by chronic kidney or liver disease. Resource article: Types of Anemia. Chronic inflammation itself can cause of anemia. The same is true for a chronic imbalance of the immune system. 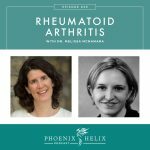 Anemia is so common among rheumatoid arthritis patients that it's sometimes considered a diagnostic factor. One study found that 25% patients with RA had anemia of chronic disease. Iron deficiency is also common among RA patients. Celiac disease: The attack on the small intestine can interfere with nutrient absorption, increasing the risk of iron, B12 and folate deficiencies, all of which can cause anemia. Crohn's and ulcerative colitis: These diseases are also vulnerable to nutrient malabsorption. Additionally, flares often involve blood loss, increasing anemia risk as well. Note: information shared intermittently throughout the podcast, which is why there's no time stamp for this topic. Functional medicine ranges look for optimal health, and they differ from the ranges listed on your lab report. RBC (red blood cell count) – Healthy range is between 4.4-4.9. Hemoglobin (protein in RBCs responsible for carrying the oxygen) – Healthy range for men is between 14-15. For women 13.5-14.5. Hematocrit (% of RBCs by volume) – Healthy range for men is between 40-48%. For women 37-44%. There are also values for cell size, shape and concentration: MCV, MCH, MCHC, RDW. High or low values can provide hints on the type of anemia. For example, MCV indicates the size of the red blood cell. Small cells (MCV of less than 85) hint at iron deficiency or anemia of chronic inflammation. Large cells (MCV of 92 or above) hint at B12 or folate deficiency. TIBC (total iron binding capacity). UIBC (unsaturated iron binding capacity). Auto-antibodies to Intrinsic Factor or Parietal Cells – this can indicate autoimmune pernicious anemia. Makers for Inflammation. Since anemia of chronic disease is driven by inflammation. Focus on food sources of heme iron. This is the most bioavailable form of iron and is only present in animal products. The richest sources are shellfish and organ meats. Red meat is also a good source of heme iron. Vitamin C increases iron apsorption. Vitamin C rich foods include many fruits and vegetables. If you fill 2/3's of your plate with vegetables, you will usually get a good dose of vitamin C. Oranges and strawberries are also good sources. Coffee, tea, and calcium all decrease iron absorption. Consume these separately from iron-containing meals or supplements. Supplements: Only use when the above interventions aren't enough. Some iron supplements can cause stomach upset and constipation. Dr. Nett's preferred supplement is Proferrin ES, because it's heme-iron and well tolerated. Unfortunately, it has a coating that contains food dyes. She recommends rinsing the coating off under warm, running water. The supplement Eileen takes is Solgar Gentle Iron. While vegetarian-based, it has no dyes, was easily tolerated, and did restore her iron levels. Iron Infusions: these are only used in the most severe cases, mostly commonly with IBD (Crohn's and ulcerative colitis). Iron Overload: Iron is something that's beneficial in the right amount. Too little or too much is a problem. When working to restore healthy levels, lab tests every 4-6 weeks to monitor progress is recommended. Iron overload is asymptomatic, so you won't feel it happening, but too much iron body can lead to organ dysfunction. Dr. Nett doesn't want iron saturation to go above 45%, nor ferritin to go above 100. Once your levels and protocol have stabilized, you can drop back to lab tests every 6-12 months. Focus on food sources first. B12 can only be obtained from animal products: meat, seafood, dairy and eggs. The best sources of folate are dark leafy greens, broccoli, avocado and citrus. Supplements: Try food sources first. If that's not enough, choose active forms of B vitamins. For folate, that's methyltetrahydrofolate or folinic acid. (Avoid folic acid, which is synthetic and can actually be harmful.) For B12, the active forms are methylcobalamin, hydroxycobalamin, or adenosylcobalamin. (Avoid cyanocobalamin, which is synthetic.) Some people are sensitive to one type and do better with another. It's best to work with a practitioner, especially if you have an MTHFR mutation. B12 Injections: Most people don't need these, but Pernicious anemia involves impaired absorption of B12, and if a sublingual lozenge doesn't work, these shots can be helpful. People with celiac disease and IBD are vulnerable to these deficiencies due to nutrient absorption challenges. Gut infections can also cause these vitamin deficiencies, such as SIBO. If these are the root cause, treating these can cure the anemia. These are also important vitamins for the body's detoxification pathways, so if these pathways are overburdened, you can burn through these vitamins quickly and develop deficiencies. Vitamin Overload: Just like iron, we want the right amount of B vitamins – not too much and not too little. Taking high doses of these vitamins long-term can lead to unintended negative consequences. Start with small doses, and use the lowest possible dose to reach sufficiency. One symptom of taking too much is anxiety or overstimulation. Here, the first focus of treatment is reducing inflammation and bringing the immune system into balance. So, the paleo autoimmune protocol diet and lifestyle are a great places to begin. Functional medicine interventions can also be helpful. Simultaneously, iron supplementation might be necessary, but it's especially challenging in this condition, because the body often stores it instead of allowing it into the circulation. 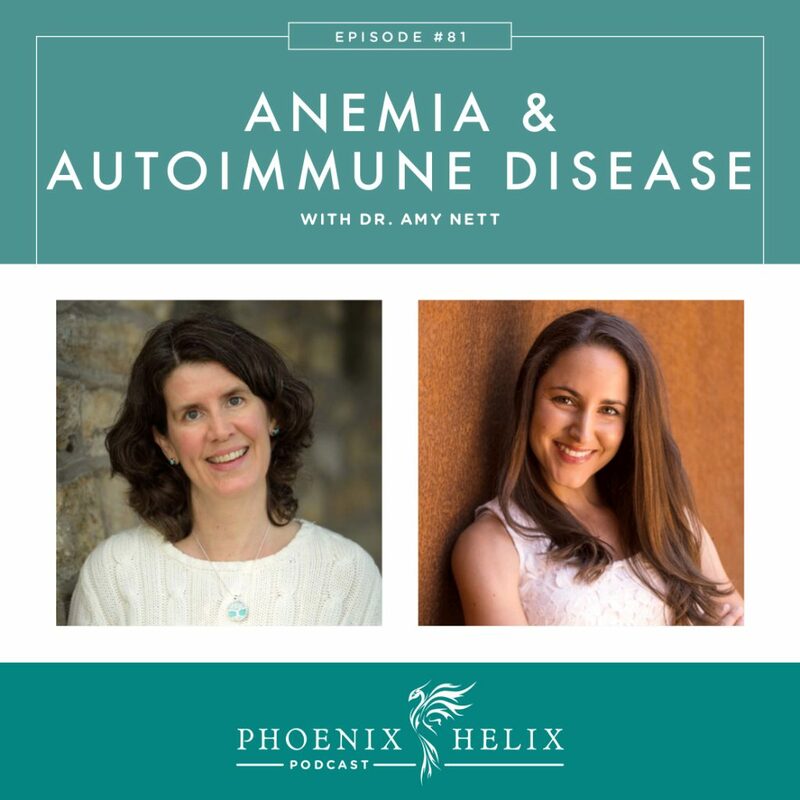 Dr Nett's goal with this type of anemia is to restore iron to low-normal levels (iron saturation around 20%), while addressing the root causes of inflammation. Anti-Inflammatory Diet & Lifestyle: While essential in the treatment of anemia of chronic inflammation, this is a good foundation for the treatment of all anemias. There's a lot of research into the effect of stress on inflammation, and meditation lowering inflammation. Research also shows that stress has a direct impact on anemia, lowering serum iron levels and red blood cell production, so stress management is also an important part of any anemia protocol. 10% Happier Guided Meditation App and Podcast. Dr. Amy Nett is accepting new patients at the the California Center for Functional Medicine. She will work with people via phone or Skype, but you do need to have one appointment in-person at the California office.